Popular Swahili presenter, Nimrod Taabu has resigned from Nation Media Group. The presenter is set to join the Royal Media Services to replace Kanze Dena who was appointed as President Uhuru Kenyatta’s deputy spokesperson. Kanze gave her first press briefing at State House today. 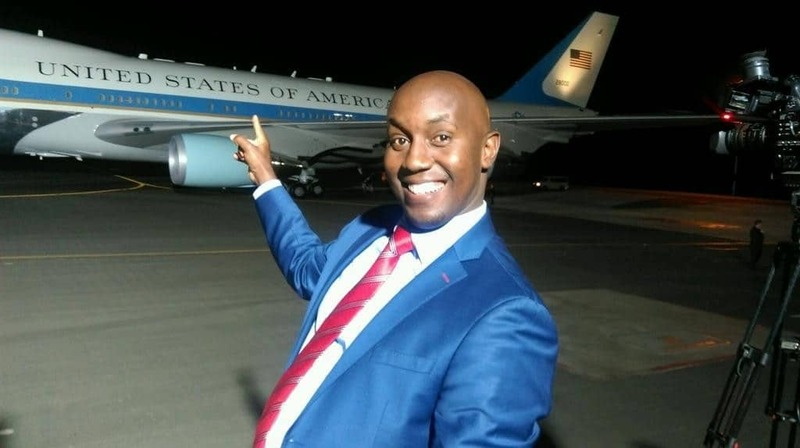 Nimrod’s resignation comes after a witnessed mass exit of reporters from NTV to Citizen TV including former Managing Editor Linus Kaikai, Victoria Rubadiri, Enock Sikolia not forgetting anchor Larry Madowo who moved to BBC Africa. Fun fact about the Swahili presenter is that he has been a journalist for the past 19 years and has a twin sister who is 5 minutes younger than him.